This post was contributed by Michelle of Sunshine and Hurricanes. 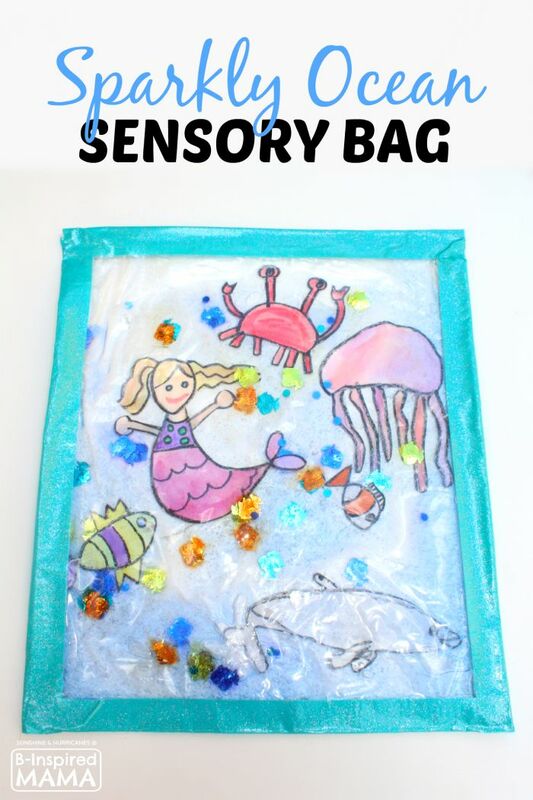 A Sensory Bag for Mess-Free Summer Sensory Play! Hey Friends! This is Michelle, half of the blogging team at Sunshine and Hurricanes! 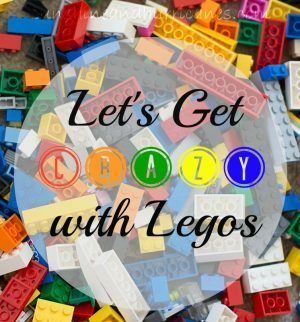 I’m the mama to 4 kiddos from ages 4 to 13 and there is always some kind of creative chaos happening at our house! Living in sunny Florida, we spend a lot of time at the beach and love bringing our experiences into our home. 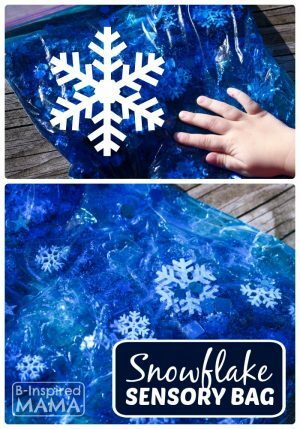 Today I want to share a fun sensory bag project that’s perfect for a Summer afternoon and something kids of multiple ages will enjoy! 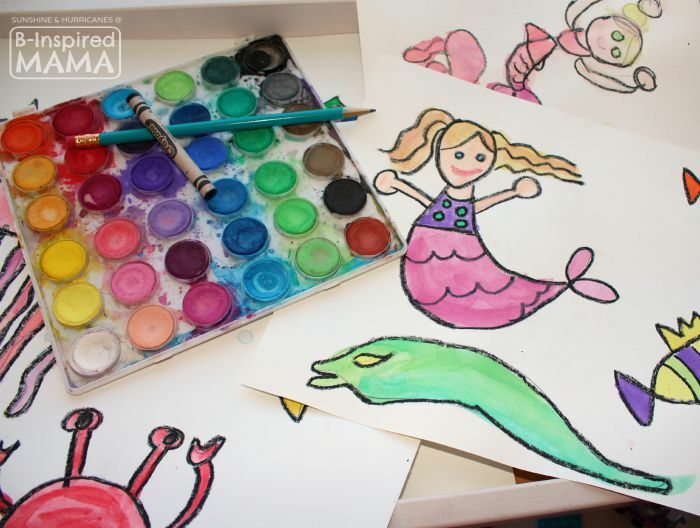 Have your little artists draw their favorite sea creatures with a pencil on a sheet of white paper, and then trace over the pencil lines with black crayon. Because I have a span of ages among my kiddos, there are various levels of ability and it’s fun to see each of them shine and share their ideas. Use the watercolor paints to add color to your marine life, and set aside to dry. Get your large plastic, resealable bag and cut a strip of duct tape approximately the length of your bag. Place the bag on half the width of the tape, press down firmly, then fold the tape over so it is now covering the bag seam on both sides. Repeat for two more sides, leaving the top open for now. I like to reinforce with the duct tape because it helps our final product hold up longer and adds interest with the frame the tape creates. 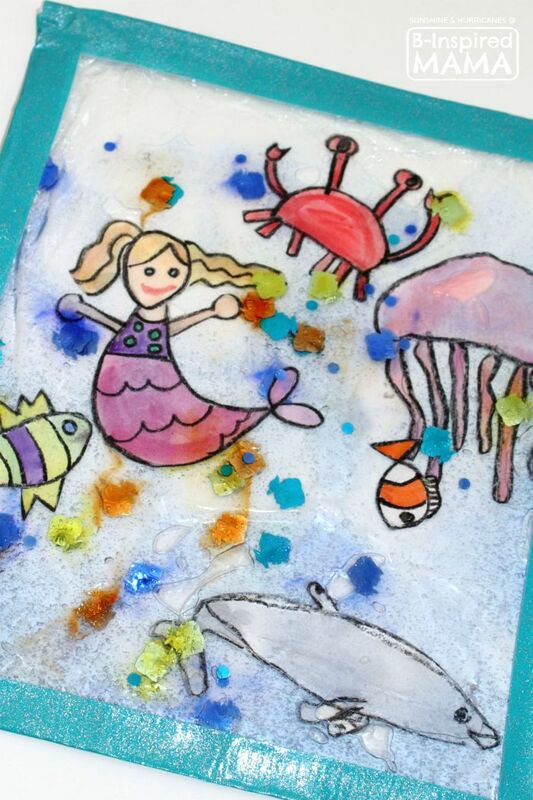 Send the sea creatures for a trip through the handy laminator. If you don’t have a laminator, clear contact paper can easily be used to strengthen and cover the animals so they’ll be safe in the “water”. Squeeze all the contents the bottle filled with blue hair gel into the bag, squish it around, add sequins or confetti, then the laminated pieces. 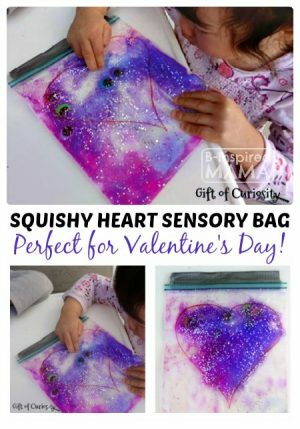 Squeeze the air out of your new sensory bag and seal the top. Add a final strip of duct tape to the top and your Sparkly Ocean Sensory Bad is ready for play! 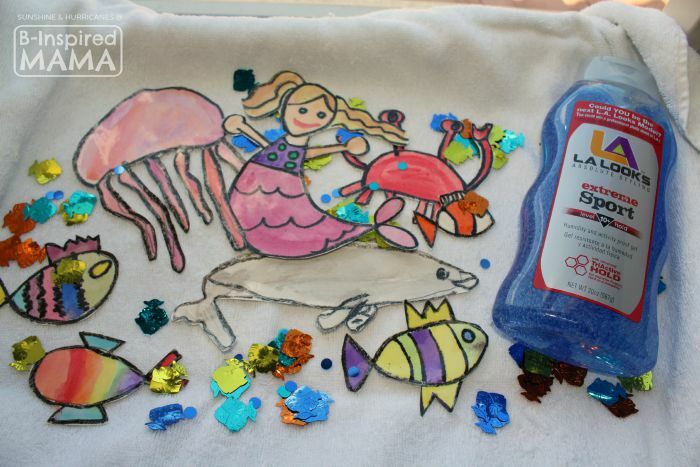 This sensory bag makes for fun mess-free sensory play as the kiddos move the “water” and creatures all over the ocean. We like to play “I Spy” and have my youngest search for certain pieces, all while teaching marine vocabulary. It’s fun to draw letters in the water, create fun stories and scenes, or have challenges where we move everything to the top, bottom, left, right, as a way to learn positional words! My older kids like to make scenes and use them as starters for their story journals, too! Michelle is half of the blogging team at Sunshine and Hurricanes. 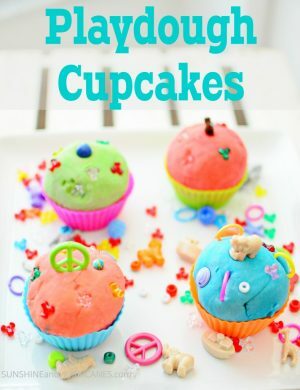 As a mama to 4, from ages 4 to 13, she is full of creative ideas for kids! We have loved our sensory bags in the past. This one is super cute with the laminated pictures inside!